Zen Studios is a name that is most commonly associated with pinball games, but soon, the developer is now putting out something quite different, and as such, quite intriguing. Operencia: The Stolen Sun is a first person dungeon crawling RPG inspired by European mythologies and folklore, and looking to evoke the experience of classic games in the genre like The Bard’s Tale and Wizardry. A couple weeks ago, we sent across some of the questions we had about the game to the devs, hoping to learn more about it. The following questions were answered by Mel Kirk, VP of Publishing at Zen Studios. 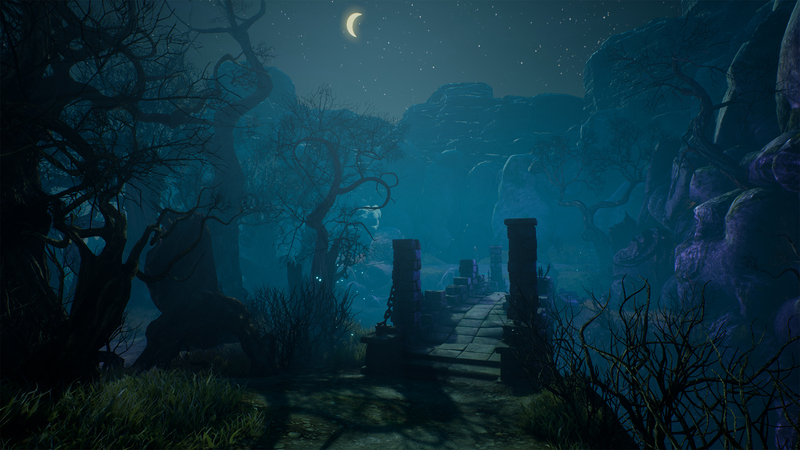 "Central European myths and folklore inspired almost all of the environments in some way"
Operencia’s use of unexplored mythologies in its setting are an intriguing prospect- can you elaborate a bit on what players can expect to see from it in this area? I came into the project about midway through development, but one of the things that really intrigued me from the start was the way in which Operencia draws from Central European mythology. As an American, I’m not going to pretend I knew a lot about this going in, but that’s the fun of it – there are a lot of great folktales, legends and mythology out there that probably have never been touched upon in 40-plus years of gaming. And while I can’t tell you for sure that this is the first time they’ve all been brought together into one cohesive universe – I think it’s a pretty safe bet. If you think of what properties like Fables, Once Upon a Time, and even Shrek have done with popular folklore, it’s kind of the same idea…just with material you’ve never really seen before. We’re also incorporating larger-than-life actual historical figures from the region – most notably Attila – into the story. It’s by no means a substitute for a history book – pretty sure Attila never fought a dragon, for example – but the historical figures still fall in line with their basic personality traits. Beyond story, Central European myths and folklore inspired almost all of the environments in some way. How much do the maps in the game vary from each other? Are the variations from a visuals perspective, or do they vary in terms of design and mechanics as well? We have more than ten different visual settings in Operencia and most maps highly differ from each other in their mechanics as well. Our main level design principle was to make the maps diverse and deliver as many “wow moments” as possible. There are some dark dungeons with narrow corridors and some with huge, open spaces and the layout always defines the puzzles and the behaviour of the enemies. Let me give you some examples. Many towers have multi-level puzzles which mean the targets are linked somehow and you have to comprehend the connection between them. Then you have to climb to the magical World Tree where you will walk on the trunk, use the branches to build new routes and even move into the tree’s interior lairs and get out on the other side. Last but not least, some rooms of Anna’s castle are flooded so you are not allowed to spend too much time underwater in search for treasures or you are going to drown. Every level needs a different approach on how to progress. 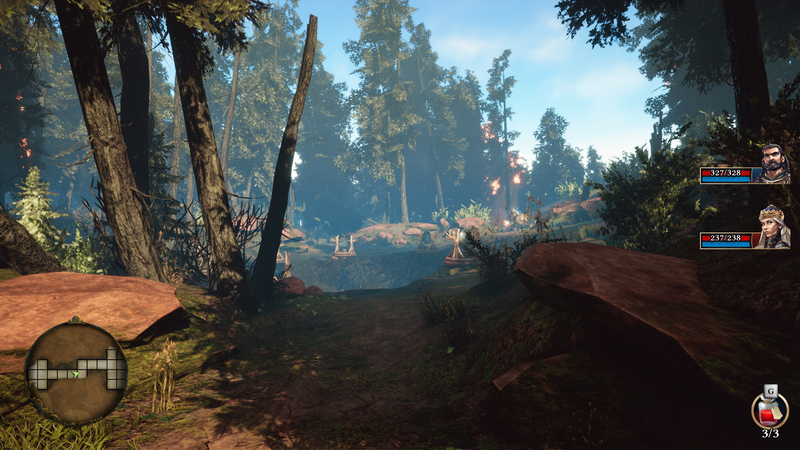 How much is Operencia going to be focused on narrative and storytelling? The overall vision for Operencia was to modernize the classic first-person dungeon-crawling RPG – and a huge part of that is telling an interesting story with memorable characters. As much as we all loved playing Wizardry in the ‘80s, it wasn’t exactly deep in those aspects. But Operencia, I would say, takes more inspiration from Final Fantasy games in this regard. We do have an overall storyline running through the entire game, which you find out fairly early on involves literally finding the sun, which has vanished from the sky – hence the game’s subtitle. Once again, Central European mythology comes into play, as Hungarians once believed there was an actual Sun King whom we can see in the sky during daylight. He’s very real in our universe – and he’s been kidnapped. And like Final Fantasy games ever since the Super NES era, the path to finding him involves encountering a whole party’s worth of diverse characters – a ragtag bunch that somehow has come together to become the land of Operencia’s only hope. It’s my sincere hope that you walk away from Operencia remembering characters like Jóska, Kela, and Sebastian in a similar regard to the likes of Cloud, Tidus, and Locke. "With Operencia, much of our team grew up playing classic RPGs of this style, and there really aren’t a whole lot of them out there anymore – so we’re literally making a game we want to play, while also kind of filling a void. There’s no doubt in my mind that most old-school RPG players will enjoy this." Can you go into some detail about how the combat system works in the game? At the very beginning of the development process we tried to implement a classic real time combat system but after two months we switched to turn based. Running in circles, trying to dodge incoming attacks and closing the doors to keep the enemies out was not what we wanted to achieve in terms of complexity and tactics. The battlefield is now fully separated from the map because we did not want anything from the environment to interfere with the turn-based system. The battlefield is divided into three lines and each skill and spell has different strength in every of these. The combat really needs a tactical thinking as each character has nine skills and a potion to choose from and there are so many aspects that affect which to choose. An AOE skill with a high hit ratio but low damage or a ranged skill which may have a stun effect on that wizard in the back line. Should you use a buff on the party or try to neutralize that taunting enemy in the front line? You can even use powerful party combo skills if you choose your previous skills wisely and use synergistic abilities. Operencia seems like it’s geared towards players who have fond memories of classic dungeon crawlers, but how important has it been to make sure that it suits modern tastes as well? How hard has it been to get that balance right? With Operencia, much of our team grew up playing classic RPGs of this style, and there really aren’t a whole lot of them out there anymore – so we’re literally making a game we want to play, while also kind of filling a void. There’s no doubt in my mind that most old-school RPG players will enjoy this. But you’re right – it’s very important that we’re appealing to modern players as well, and that’s always been top of mind. 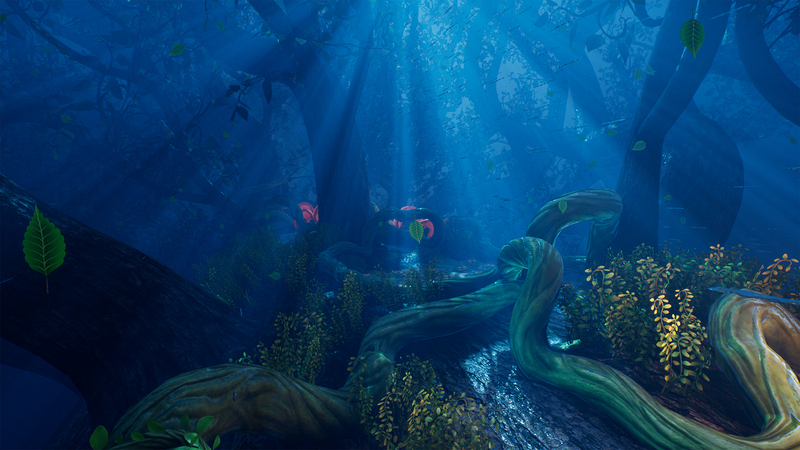 We believe the core mechanics – first-person exploration, interesting puzzles, character customization, etc. – will appeal to old-school players. At the same time, newer players will appreciate all that through welcoming features like a much more modern and user-friendly system of menus, beautiful graphics powered by Unreal Engine 4, and of course the story with memorable characters that are also fully voiced. This is the biggest single production Zen has ever created – so we definitely want to make sure it’s accessible to as many people as possible. The first person dungeon crawling genre obviously has a long and storied history- were there any standout games in particular that served as inspirations during the development of Operencia? Everyone on the team has their own favorites, but some of the most commonly mentioned titles are Wizardry, The Bard’s Tale, Eye of the Beholder, and Lands of Lore. As I mentioned, there’s a lot of Final Fantasy influence for story, but even some of the turn-based mechanics are rooted there as well. And I would even say that puzzles are such a big part of things, you could point to classics like Myst and Riven for some inspiration there. It all comes together into a pretty awesome cohesive experience. Can you talk to us a bit about how progression mechanics work in the game? Puzzle solving and exploration are essential parts of the game so winning a battle is not the only way to gain XP and equipments. We reward many activities like finding a secret area, digging up a treasure chest, brewing a new potion, using the special artefacts in optional sections. Players are even encouraged to fully reveal every single tile on each map for a small bonus. As the player progresses more characters will be unlocked with significantly different characteristic and playing style. With their new skills and equipments party management will be quite a fun as there are so many interesting different setups. If the player puts some effort into potion crafting the battles will be more diverse. At the moment we are running in 4k/30fps on Xbox One X. "We cannot talk much about what’s happening with next gen platforms as these details are very confidential. However, it is always a very exciting time in the industry when speculation and hype build for new devices and technology." How is the game running on the original Xbox One, frame rate and resolution wise? We cannot talk much about what’s happening with next gen platforms as these details are very confidential. However, it is always a very exciting time in the industry when speculation and hype build for new devices and technology. Everyone at Zen also enjoys these moments – these are some of the most enjoyable days in the industry! What do you think about Sony’s lack of effort towards cross-play? Zen is excited to see movement towards cross-play across platforms. We totally support this and would love to see a day where all players can participate in the same communities together, regardless of platform choice. Our pinball community would also really love for this to happen! I do not think it is a ‘defining’ feature for next-gen consoles, but I do think it is necessary for long term success for games aiming to operate as services. In Zen’s case, having the ability to full connect the Pinball FX3 community would be hugely rewording and allow us to drive better in-game events and experiences. We fully support 100% cross platform play!